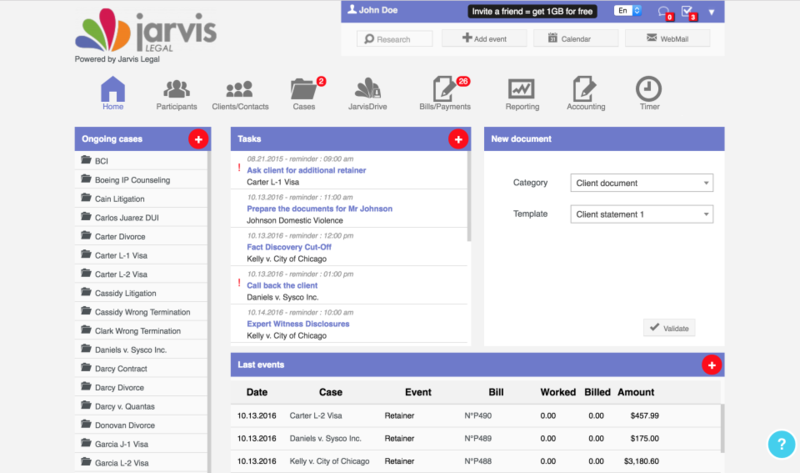 Jarvis Legal is a ludicrously simple legal practice management software for small and medium-sized law firms. 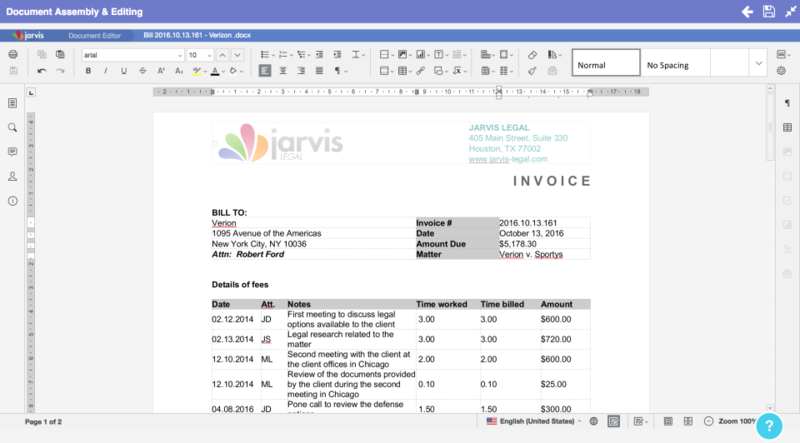 100% web-based, Jarvis is an all in one tool helping thousands of lawyers run their law practice smoothly from anywhere at anytime. 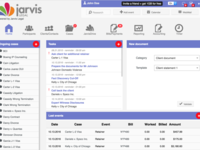 Thanks to unique automated features, Jarvis allows you to save more than 30% of your time and bill 15% more. Jarvis is trusted by thousands of legal professionals across 35 countries. Sign up for a free account now and upgrade anytime. Comments: The law office has been working with Jarvis Legal for almost a year. The support to get started and throughout this year has been excellent. It is extremely user friendly and interfaces well with other products (i.e. Outlook). It has made communication with clients better and easier. The focus is on collecting data on cases and clients, generating invoices and emailing clients. Would give it 5 stars, if some data could be exported into excel. Cons: Not much. I did spot some minor bugs but they have been constantly improving and upgrading the product, taking advice from lawyers along the way so it has become a bit our product so to speak. 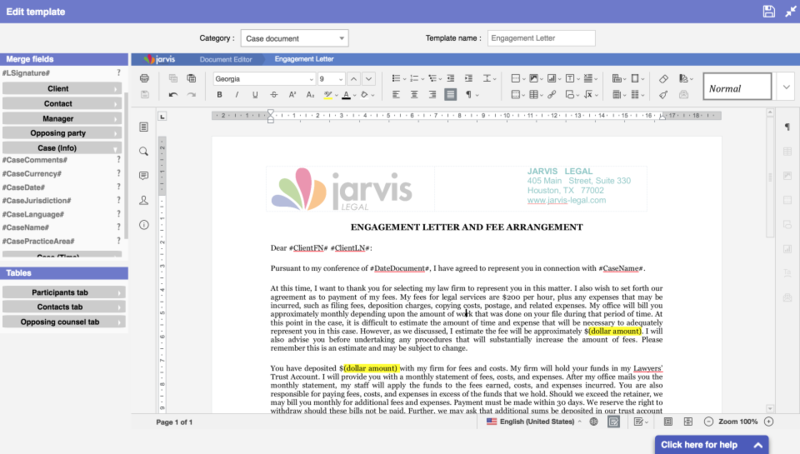 Recommendations to other buyers: Jarvis is unique in terms of inviting fellow lawyers bill in your matters. 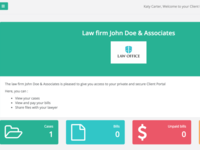 Jarvis Legal is an excellent app for a moonlighting attorney with just a handful of clients. 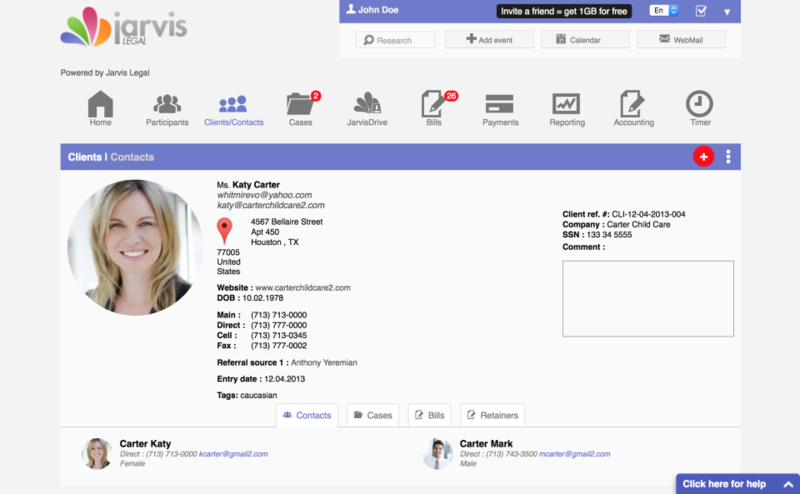 Pros: Jarvis Legal is an inexpensive option for an attorney just starting out. 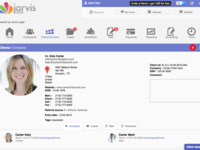 It allows matter management integrated with contacts and calendars, all on a smartphone. Cons: Jarvis Legal can be cumbersome for a heavy workload. The app is not terribly intuitive, making it necessary to input entries that feel as though they should self-populate. 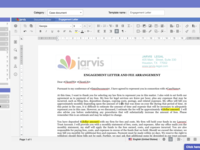 Comments: I've been using Jarvis for about a year and I'm beyond satisfied with the platform. My paralegal loves how simple it is to bill clients and follow up on payments. Personally, I love to have my cases and clients information as well as my documents always with me on the go in my smartphone. The interface is both user-friendly and elegant. I also love the availability and reactivity of the customer support team. Jarvis has become a key asset for our entire firm. Comments: If you are starting out as a solo practitioner this might be a good product (though we've been with them for 2 weeks and still the mobile app is down). But migrating 20 years worth of data over from our prior billing program has been an absolute disaster. JL can't handle the load. Pros: Clean appearance, visually appealing; very helpful customer service, above and beyond the norm, sensible construct. Cons: Migration was horrible, mobile app broken for two weeks, works intermittently, fails on many levels. 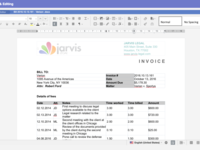 Comments: Adopting Jarvis changed my life as I discovered that you can record your time sheets from anywhere and any tool while my former billing tool obliged me to come to the office and use a PC instead of my mac. Apart from that, I love the customization of invoices and appreciate all regular improvements of this billing system. The customer service is fast and cares.